The following guest blog post was submitted by Dr. Meredith Stepita, Veterinary Behaviorist at at Encina Veterinary Hospital in Northern California. Dr. Stepita’s passion for canine behavior assistance is due to the very special bond shared between human and pet. She chose to become a board certified veterinary behaviorist after learning how many pets are unfortunately given away, rehomed or euthanized due to behavior issues. 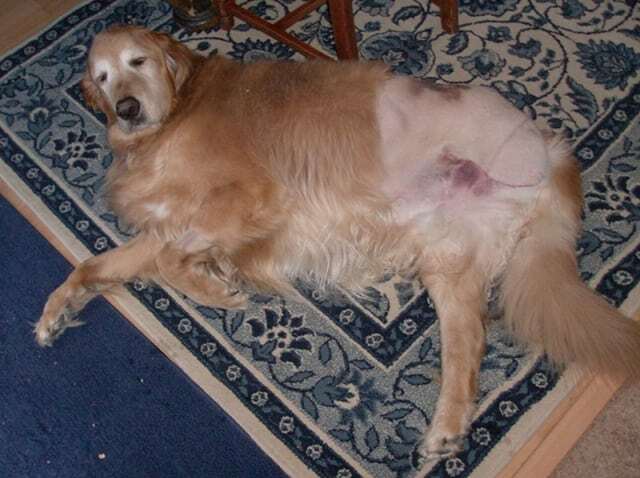 You have made the decision that your beloved furry family member must have surgery and become your 3-legged companion. 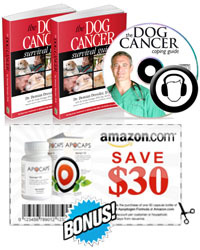 This is a heart-wrenching decision, but you know your pet will be much more comfortable once his tumor, facture, or other medical problem is no longer bothering him. What you may not think about, and what I want to discuss today, is what happens once you get your pet home? The first day is about rest and figuring out how to work together so that their needs are met (ie getting outside or to the litterbox to eliminate, getting to food and water). However a couple of days later your pet feels great and is ready to conquer the world! But remember what the doctor said “Fluffy needs strict rest for the next 2 weeks”. So how do you keep your beloved pet cool, calm, and collected so that they can heal as the doctor prescribed? Enrichment and relaxation can be very helpful. There are 2 types of ways to keep your pet stimulated and enriched: physically and mentally. At this time you are forced to rely on the latter due to physical restrictions. Many dogs and cats will regain their physical capacities in time, but for pets with any number of legs, metal stimulation is just as important. For our pets, food enrichment is a great form of mental stimulation. Rather than eating from a bowl, provide you pet with food dispensing toys. Start with easier ones so that your pet learns how to effectively use them, rather than becoming frustrated. Gradually work up to more challenging toys. Initially add in some of their favorite treats to entice your pet. Some toys allow you to adjust the difficulty level, such as the Busy Buddy Twist ‘n Treat. There are also plenty of food toys for our feline friends; my favorite is the Egg-Cersizer. When trying out a new toy, make sure to supervise your pet. Some dogs may destroy toys and are at risk for ingesting pieces of the toy or cutting their mouth on the toy they have chewed up. For these dogs, use the more durable, harder plastic toys. Another way to use food toys is by making them into a long-lasting treat. Kongs can be stuffed with peanut butter, canned dog food, other soft treats, and then frozen. Some dogs will spend hours on their frozen Kongs. Visit the Kong website for more Kong recipes. Another form of mental stimulation is positive reinforcement training, and there are plenty of commands you can teach your dog that do not require lots of movement. Two of these commands are eye contact and hand target. Not only are these commands great for a dog or cat with exercise restriction, but they are two of the best focus commands. Focus commands help when introducing your shy dog to other dogs or people as they require your pup looks to you for guidance. Although most will learn to sit just fine with 3-legs in no time flat, you can use these alternative commands in the meantime while your pet is learning how to balance learning a new way to sit, and they do not require sitting in a pet with arthritis where the act of sitting is painful. If you use a special blanket, your dog will start to associate this cue with calm, relaxed behavior in situations other than in your house (i.e. the car, the vet, other new places). Another useful relaxation exercise is a special type of massage called TTouch®. Some of my clients have found this to be extremely useful with their anxious pets. Visit TTouch.com for more information. If you are interested in other blogs relating to pet behavior please let us know! We love guest blog posts about any topic that can help make life better for Tripawds. Please write to us if you’re interested in sharing your Tripawd experience.